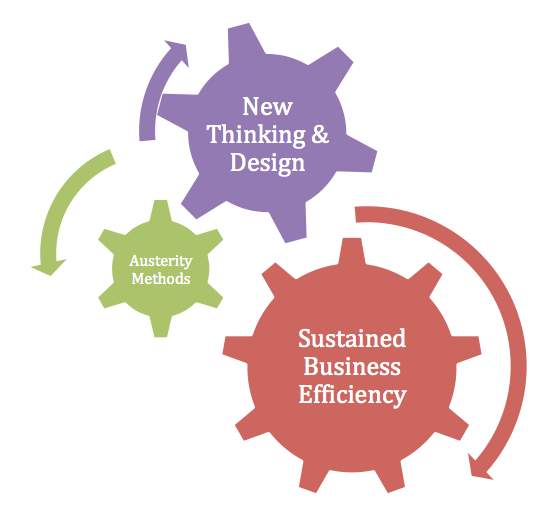 There are two broad pathways to efficiency and sustainable practice. Mandated requirements to look beyond economic considerations demand that we make a concerted effort seek out new ways and means of developing efficient and sustainable business practices. The first pathway is one we all understand and routinely apply – i.e. conserving our resources so they are not depleted and therefore available for ongoing use. The second involves designing new and improved ways of doing things that do not tie us to the limiting factors of current thinking, practice and resource. The first path is about the maintenance of the status-quo. So even when we act sustainably we can in effect be going backward with the quality of our services diminishing. I refer to this approach as Rear-View path. It is largely reactive and although we seek to move forward with good intent, this is in effect like trying driving a car whilst focusing primarily on the rear-view mirror and not the windscreen. The Rear-View is dominated by austerity methods such as staff cuts, wage-freezes, cost-cutting and a hold on new projects. With the Rear-View to sustainability we adopt reactive and precautionary approaches in which we seek to do the same things we have done in the past but faster and at less cost. The Rear-View pathway is characterised by short-term “management” thinking that ultimately contributes to a downward spiral in efficiency given that service demands usually increase, and cheaper and faster rarely equate to better. The old mantra of doing more with less is fine but let’s focus on the more in addition to the less. The second path to sustainability is a proactive one and through new design focuses on the “more”. Longer-term “leadership” thinking forms the basis for the Forward-View as we focus on What can be rather than the usual What is. Forward-View approaches involve the application of methods that assist organisations to build agility and navigate difficult times with greater impact. More practical means of safe implementation that are not bogged down with bureaucratic processes and the fear of failure. Austerity methods absolutely have their place but we need to be aware of their limitations and not overuse them when better ways can be conceived. Both pathways need to be applied and intertwine, but we must learn not to routinely default to the Rear-View path alone as our management practices to date have had us do. 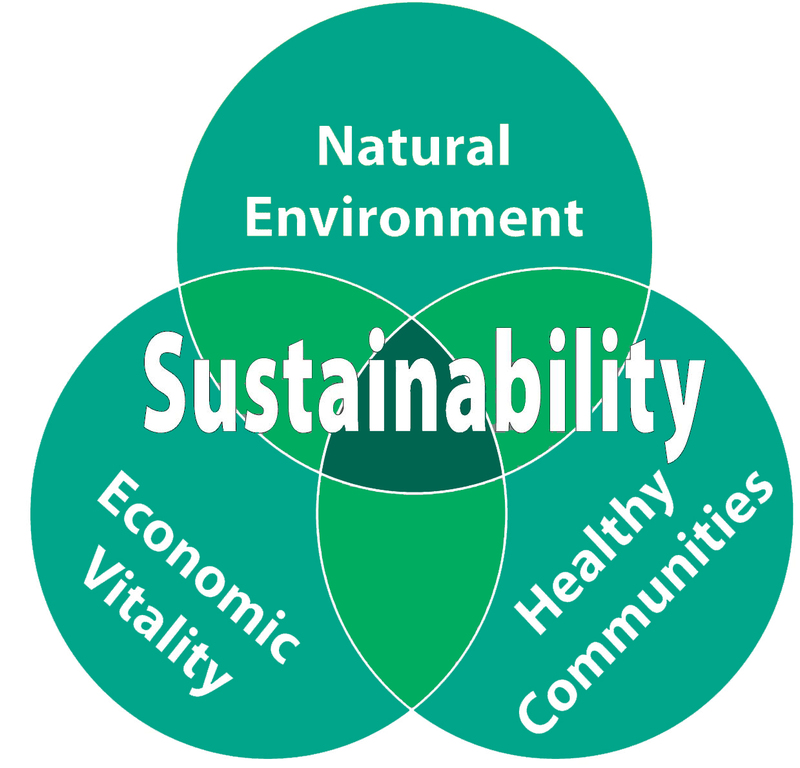 The degree to which one pathway predominates is wholly dependent on context but an approach to sustainability that involves only one reactive pathway diminishes capacity over time, and this is not sustainable. Organisations looking to build on their capacity to navigate difficult economic times and make sustainable practice a part of normal business are invited to contact us at Think Quick to discuss how we can assist in incorporating Forward-View thinking and action with a view to building business efficiency and proactive sustainable practices.